NCC女性委員会 世界祈祷日事務所　Women' s Committee National Christian Council in Japan WDP Office. 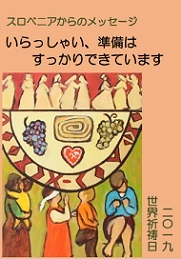 copyright © 2006 NCC女性委員会 世界祈祷日事務所　Women' s Committee National Christian Council in Japan WDP Office. all rights reserved.